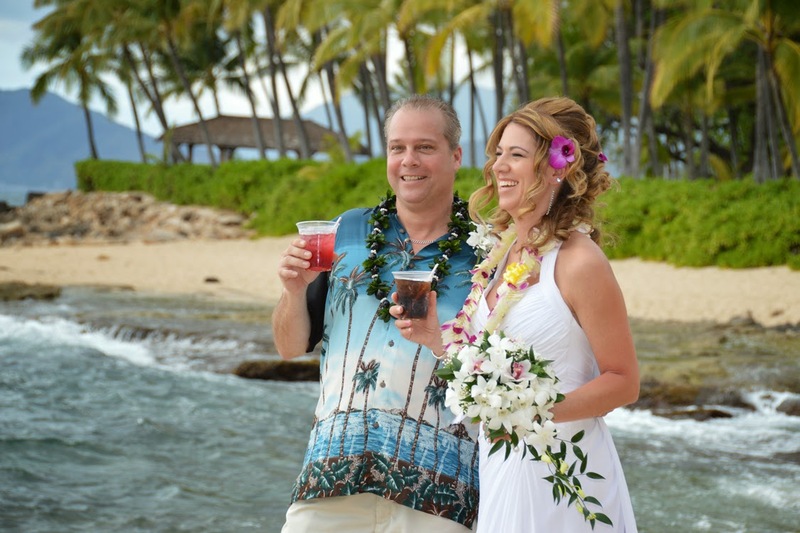 A friend brings some cold drinks down from the hotel. 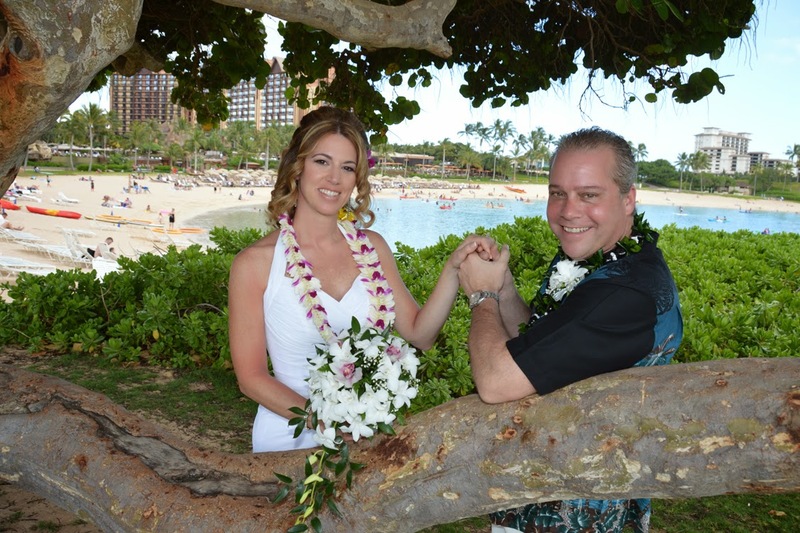 Trees make great photo props! 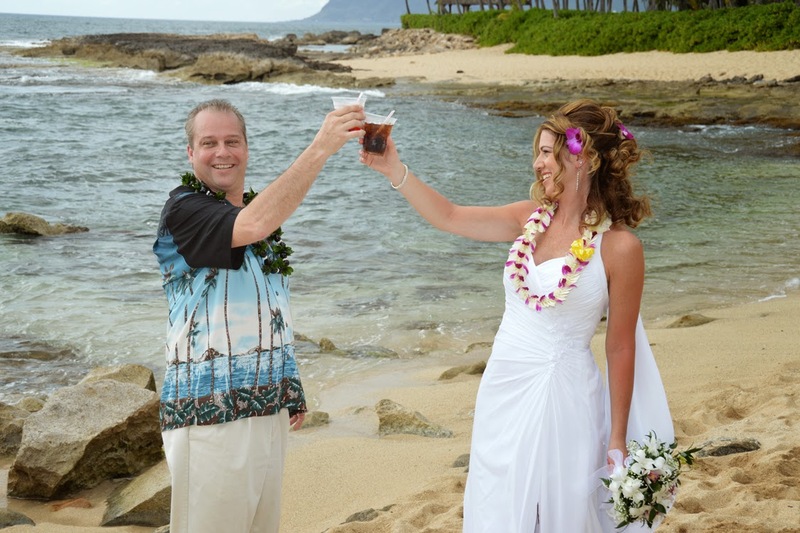 Nice wedding pics. 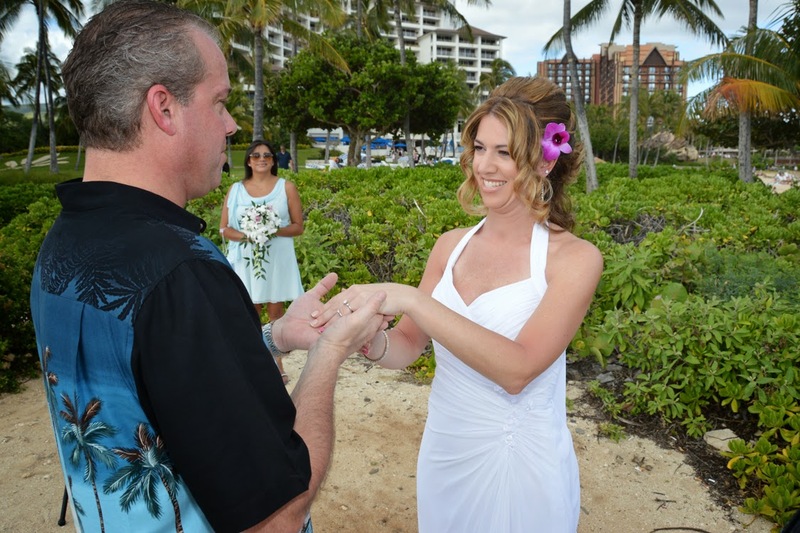 Love Jeffrey's cheerful expression as Christina slides on his ring! 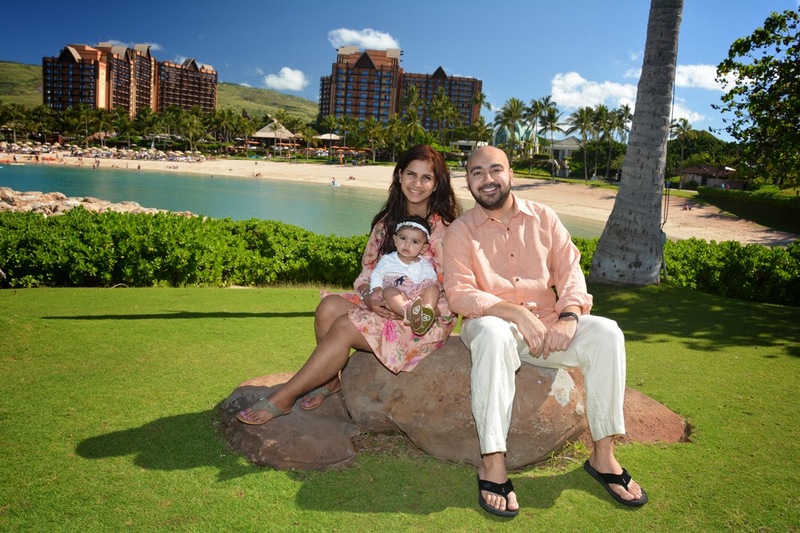 Beautiful background view of Aulani Disney Resort. 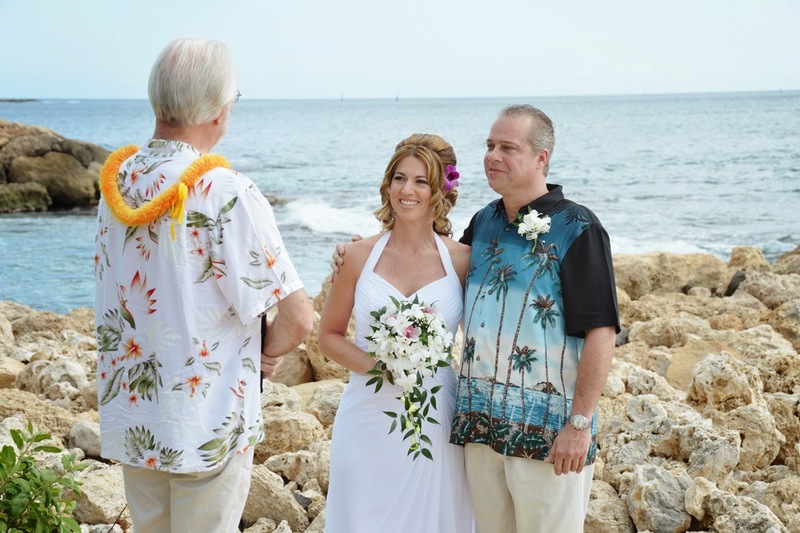 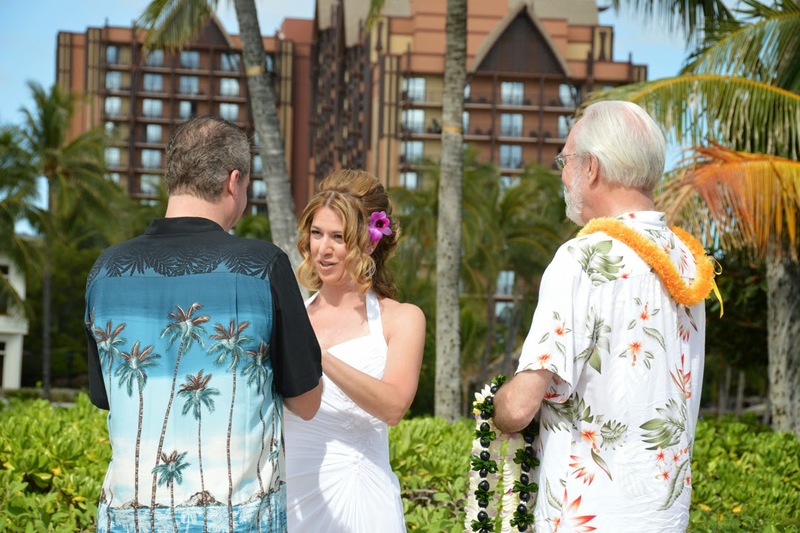 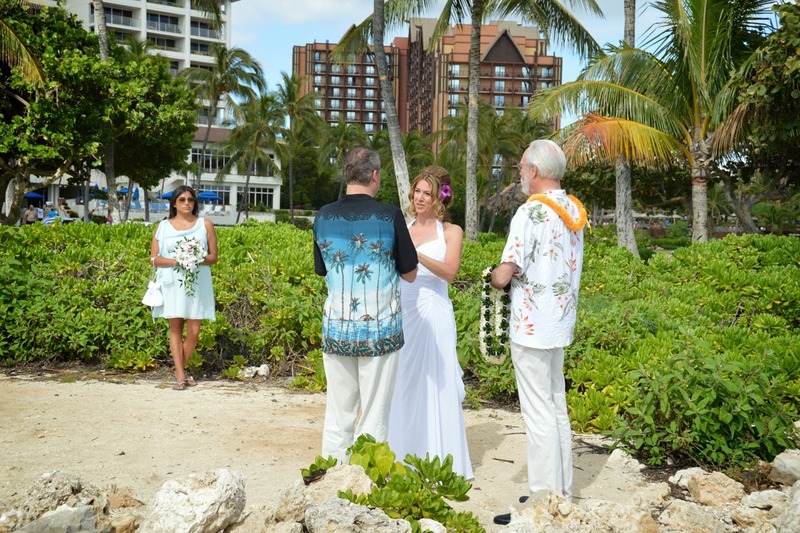 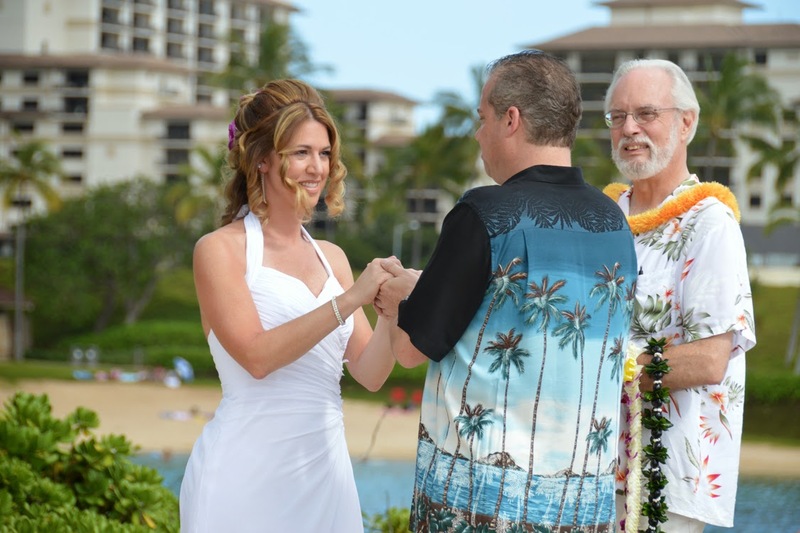 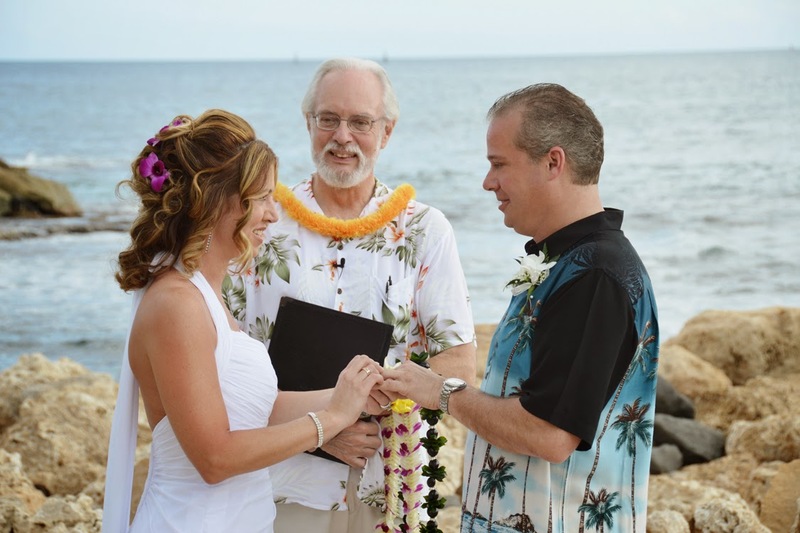 Jeffrey & Christina tie the knot with the Ko Olina resorts as a backdrop. 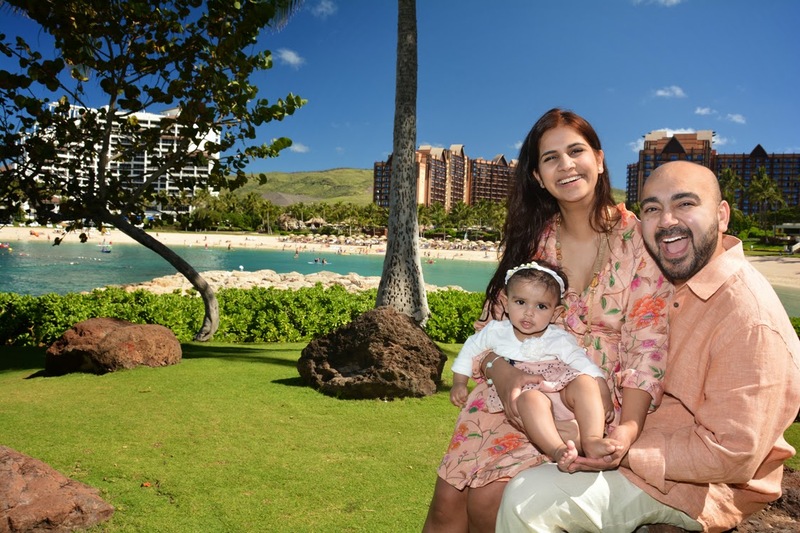 Family photos at Ko Olina Resort came out fantastic. 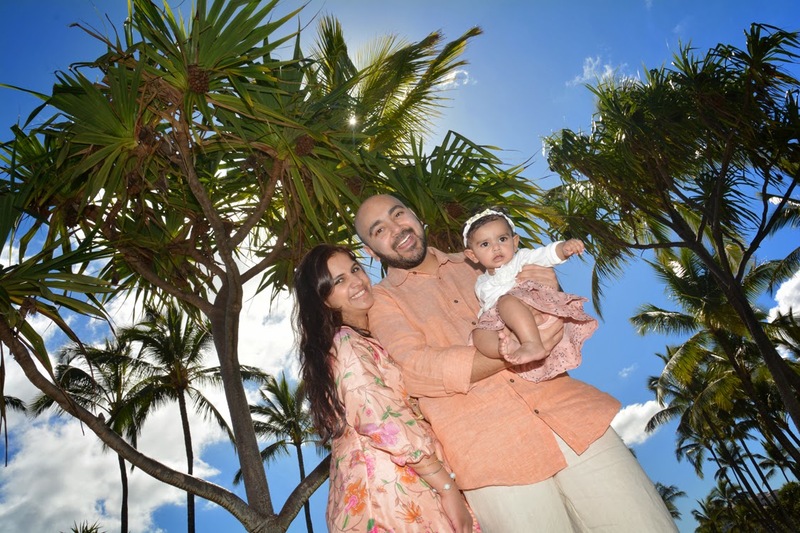 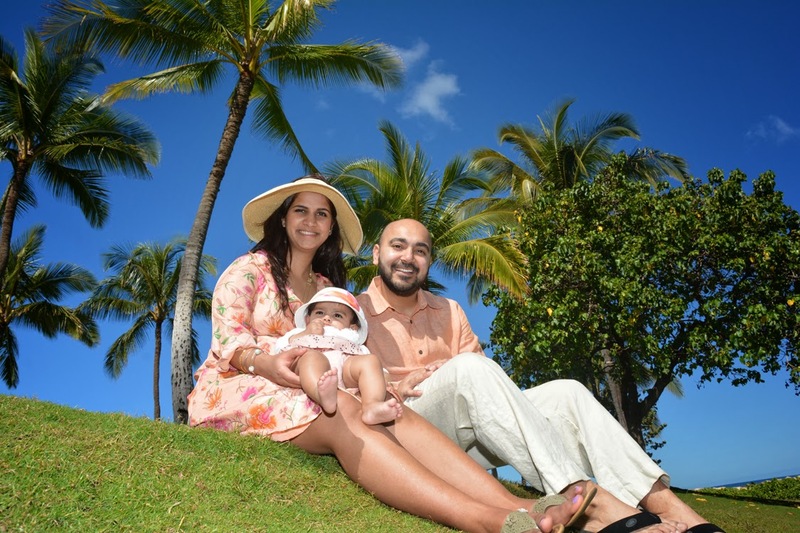 Ajit & Sukhu request some Family Photos at Ko Olina.